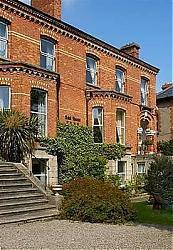 Located in leafy Ballsbridge, Ariel House is walking distance from Dublin city centre, and offers free wireless internet and warm hospitality. Ariel House is a few minutesâ?? walk from the RDS exhibition centre and the local DART station.